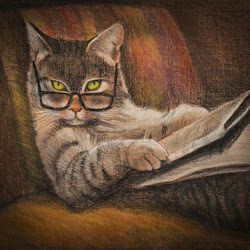 Theoretically, cats sink their teeth into the porous surface of dental treats, and the abrasive action scrapes off tartar and plaque. But veterinary dentist Mary Buelow says while this may clean the cusp areas of the teeth, dental treats for cats are less effective at the gum line, where periodontal disease is most likely to occur. Still, she says, they can "play a part in oral health maintenance." And in its State of Pet Health 2016 Report. Banfield Pet Hospitals says cat dental treats and chews can help prevent tartar buildup. Buelow recommends C.E.T. 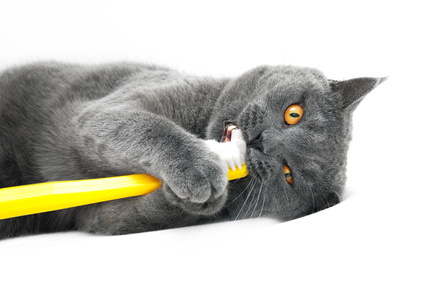 Oral Hygiene treats for cats because they provide antibacterial effects in the cat's mouth. Other veterinarians suggest treats accepted by the Veterinary Oral Health Council. Those include the ubiquitous Greenies, Purina Pro Plan Dental Crunch Cat Snacks and Purina DentaLife Daily Oral Care Cat Treats . Other ways to keep your cats' teeth clean include giving them pieces of raw meat to gnaw on and freeze-dried raw meat chunks . The ground bones and enzymes in raw food help keep the teeth clean. But veterinarians agree nothing beats brushing your cat's teeth. Do it daily if you can, or at least once a week. And if your cat will absolutely not accept a toothbrush, try using dental wipes instead. How do you brush a cat's teeth? Take a look at this video.